The publisher has tackled Uncharted, World of Warcraft and Final Fantasy. How about Pikachu? Imitation is indeed the sincerest form of flattery, especially when it comes to iOS and Android games. Is your favorite console publisher snubbing mobile phones and tablets? That's cool, since there's a developer more than willing to produce games "inspired" by the industry's biggest franchises, and no company does it better than Gameloft. Over the years, it's done a bang-up job delivering titles that bear a striking resemblance to ones we've seen on Xbox 360 and PlayStation 3. 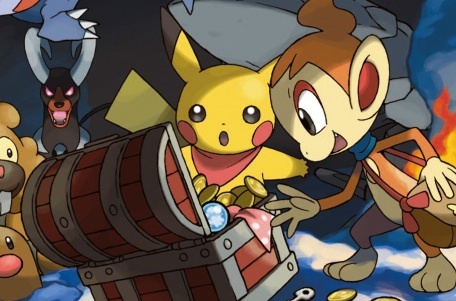 After Order & Chaos Online, a Pokemon-style game would be small potatoes. 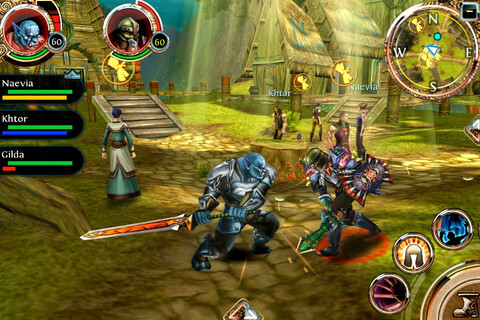 Sony wouldn't give mobile players Uncharted, so Gameloft created Shadow Guardian. Activision has yet to deliver a full-fledged Call of Duty experience, so Gameloft dreamed up Modern Combat. Blizzard didn't port StarCraft and World of Warcraft, but Gameloft was right there with StarFront: Collision and Order & Chaos Online, respectively. Does that seem like a lot? We sure hope not, because it barely scratches the surface. Grand Theft Auto? Say hello to Gangstar Rio. Final Fantasy? Check out Eternal Legacy. Diablo? Try Dungeon Hunter. It's quite an impressive list, leaving us to wonder which IP Gameloft will tackle next. That said, we're more than happy to throw Pokemon onto the table. Nintendo's RPG series has enthralled fans for over a decade, as players train wild critters and then pit them in battle against other Pokemon, boosting their team's stats and searching for hundreds of the little buggers to complete a Pokedex. It's a ton of fun, but to date, we really haven't seen this sort of ambitious game on the App Store, much less one we'd actually want to play. Nintendo seems committed to its own platforms, leaving the door wide open for Gameloft on iOS and Android. With this in mind, Gameloft certainly has the creative juices and the funds to make such a project a reality. We think its developers would have little trouble coming up with their own unique versions on Pikachu and Co., and could probably take the gameplay even a few steps further than Nintendo, with more advanced online features and graphics that take full advantage of the new iPad's retina display, along with various Androids. Granted, diehard Nintendo fans would probably scoff at the idea, but considering this game would be available on smart phones and tablets, there are millions of players that would love to enjoy a Pokemon-inspired experience on the go, one that doesn't involve a DS or 3DS. Shameless? A blatant rip-off? That's debatable. It's clear Gameloft has the resources to create award-winning content. Tackling Pokemon should be at the top of its list.